SC 5 Premium + Iron Kit 15125220 https://www.kaercher.com/ae/home-garden/steam-cleaners/sc-5-premium-iron-kit-15125220.html The SC 5 Premium Iron Kit: with 4.2 bar steam pressure, the most powerful steam cleaner! With VapoHydro water steam function, steam pressure iron, extended accessory kit, floor nozzle Comfort Plus. 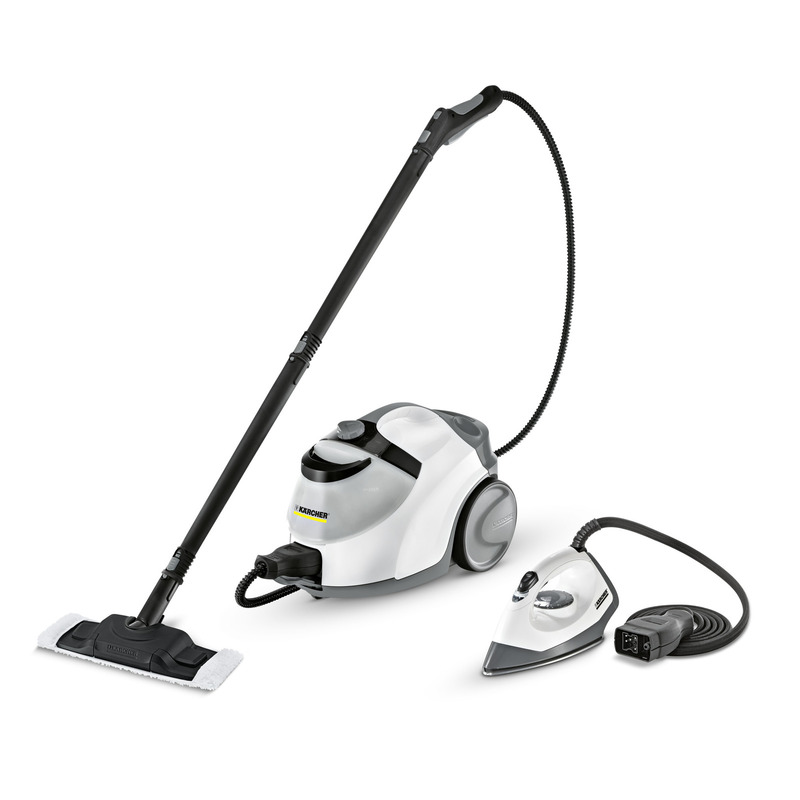 The SC 5 Premium Iron Kit: with 4.2 bar steam pressure, the most powerful steam cleaner! With VapoHydro water steam function, steam pressure iron, extended accessory kit, floor nozzle Comfort Plus. 100% chemical-free, powerful cleaning: the SC 5 Premium Iron Kit with exceptional 4.2 bar steam pressure is the most powerful in its class. The steam pressure iron cuts normal ironing time in half. The extended accessory kit makes dirt removal easier. Thorough cleaning with the Kärcher steam cleaner kills 99.99% of all common household bacteria on hard surfaces around the home. Numerous accessory options leave smooth surfaces, exhaust hoods, corners and crevices perfectly clean. Even stubborn dirt is quickly removed. 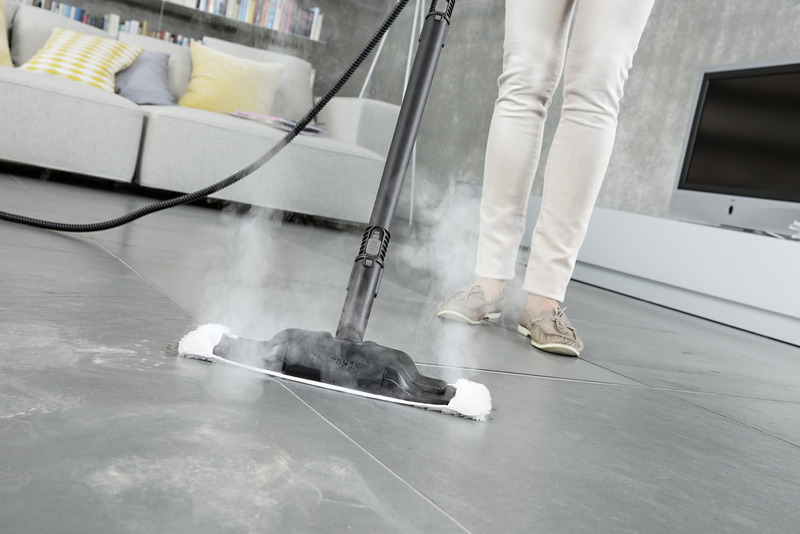 The floor nozzle Comfort Plus has a flexible joint and larger cleaning surface. Ideal preconditions for ergonomic cleaning and excellent results. Contactless cloth changing offers maximum convenience. The VapoHydro function uses hot water to easily dissolve and wash away stubborn dirt. The steam intensity can be adjusted to the surface and dirt with the 4-level steam control. The water tank is removable and continuously refillable – for non-stopcleaning. Other features: integrated cable storage, accessory storage compartment, floor nozzle parking position. For non-stop cleaning and convenient water filling. Floor nozzle, hand nozzle, round brush, etc., for all surfaces. Cuts ironing time by half.